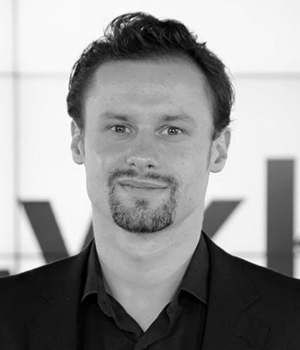 Anton Golub is a co-founder of Lykke Corp and the company’s Chief Research Officer. Prior to Lykke, Anton worked as a quantitative analyst at Olsen Ltd, a Zurich-based asset management company. He also worked at the Manchester Business School as a Marie Curie Research Fellow on high-frequency trading, market microstructure, and flash crashes. In 2012, he was invited to participate in the Foresight Project—the Future of Computer Trading in Financial Markets—an international project on algorithmic, high-frequency trading funded by the treasury of the UK. Anton was involved in several research projects funded by the European Union, including risk management and risk reporting, self-organized information processing, and criticality and emergence in multilevel systems. He is currently a supervisory board member for the BigDataFinance project. He has coauthored eight research papers and two books.